Discussion in 'Swamp Rat Knives' started by jeepin, Oct 18, 2018. 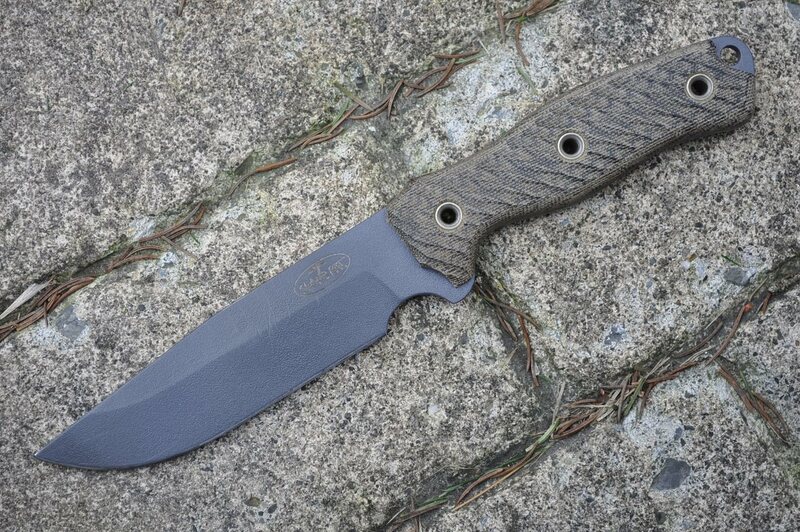 I was just wondering if anyone knew what the color and type of micarta these handle scales are called? Hey Jeepin, I would agree with BE and add that I think they're canvas. Beautiful blades. Classics! AH yes, I forget there are other types sometimes. Very much canvas. Paper is a lot shinier usually and burlap shows the lines of the material significantly. That’s good to know they are canvas. For some reason they don’t really look green to me. I have a thread about the green micarta thinking it was tan instead of green and some type of mistake occurred when I ordered it. Turns out the green looks a light but darkens with use or oil and is supposed to look more green as it ages. The tan is much lighter. 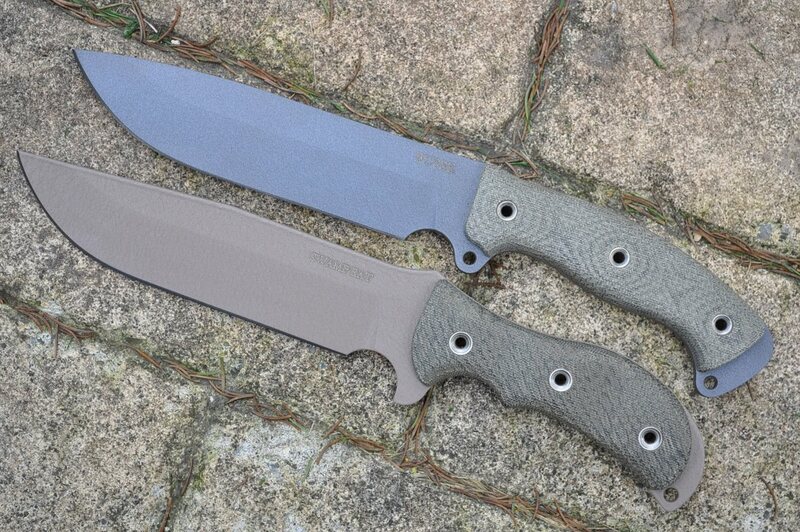 Micarta just has a bit of color variation. Uncle Timbo and jeepin like this. That is what my RMD looked like in black canvas. They were really light when new but darkened up with use. Black canvas is my guess based on the striations. A light coat of mineral oil or similar should quickly reveal the actual color. It should be arriving tomorrow. I’m not sure I’m gonna like the tan blade. I was really hoping to find a tanker grey one but had no luck so I jumped on this one. Citristrip and sandpaper are cheap if you don't like the sage. Yeah, possible, but I've had great luck with all of my strippers. I suspect the bad grinding marks are less likely the smaller the blade is, but that's just a hunch. jeepin and Uncle Timbo like this. I like the sage coating, from an aesthetic standpoint. Can't comment on how it wears, though - haven't worn out my user RMD, so no reason to knock the new off another, and I sold most of the other things I got in sage because they didn't click with me. I stripped a Ratmandu not all that long ago that had inclusions on both sides. They were so deep the only way to get rid of them would of been to grind them out. Did they affect the useage of that fantastic knife? Heck no. My Infiweiler came out beautiful after she was stripped down. I sent her to @91bravo who sanded her down a tad and improved the edge. Now if I could just get out and use her. I wonder if I send it back to replace that rivet if they could also realign the scales and maybe change the coating to a grey? I'm sure to shop would take care of you on the rivet, but iirc Jerry said Tanker was discontinued because their supplier stopped offering it. Think it's been gone for over a year now.